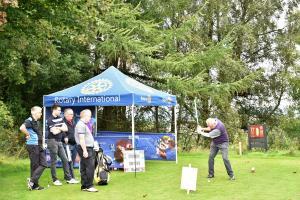 The Club's 16th annual Golf AM AM at Linlithgow Golf Club. 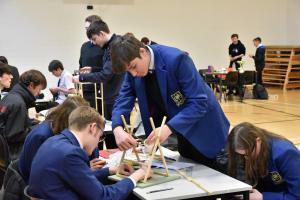 Young Technologist Competition organised by the Institution of Structural Engineers for secondary school puplis. 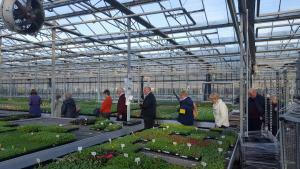 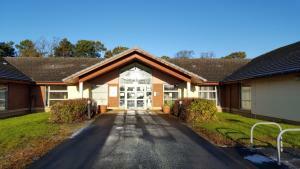 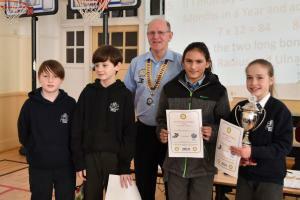 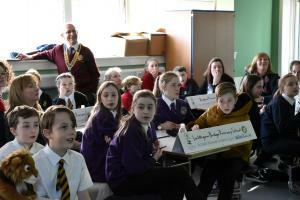 Hosted by Linlithgow & Bo'ness Rotary Club at Bo'ness Academy. 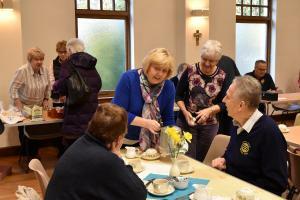 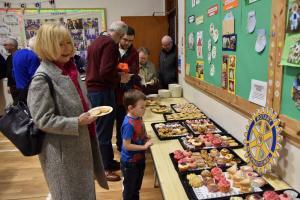 A very successful fundraising coffee morning held at Cross House on 16/2/19. 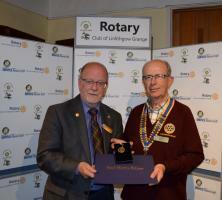 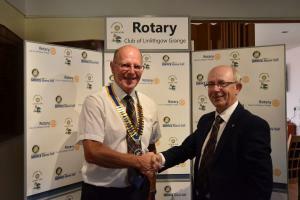 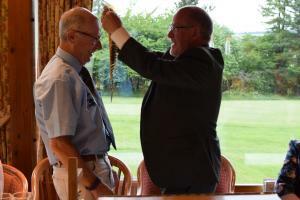 President Harry hands over the chain of office to President Iain Keter for the 2018-2019 Rotary year. 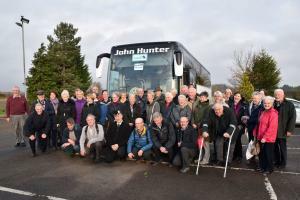 Linlithgow Grange and Linlithgow & Bo'ness Rotary Clubs participating in Linlithgow Marches 2018. 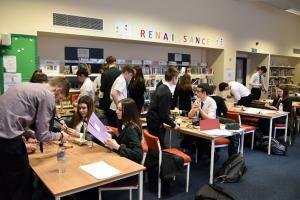 Young Technologist Competition for secondary school pupils. 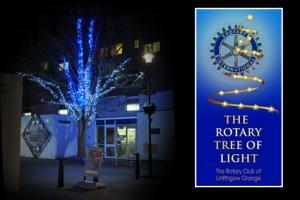 For those who have lost someone near and dear to them, the Rotary Tree of Light is a special way of marking thanks for the happy memories held, particularly at Christmas. 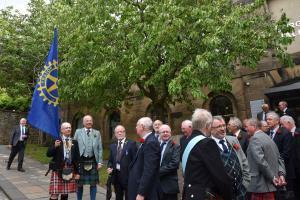 The tree will be illuminated from late November to early January. 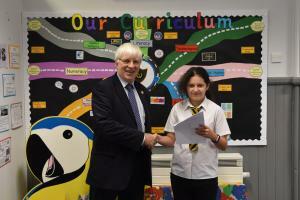 An essay competition for Primary Schools in Linlithgow and surrounding district. 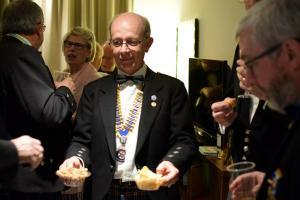 A very enjoyable annual conference and an excellent weekend of fellowship. 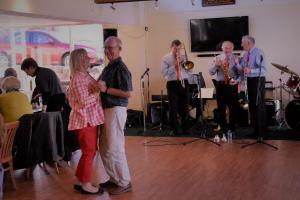 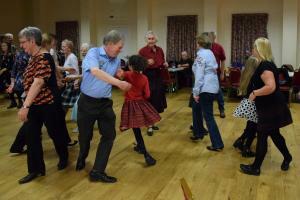 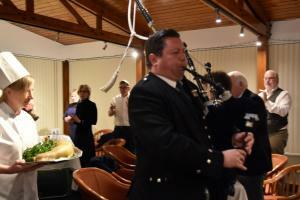 Scotch Hop enjoyed by young and old once again with the excellent John Carmichael and his Band and dances introduced by John Carswell. 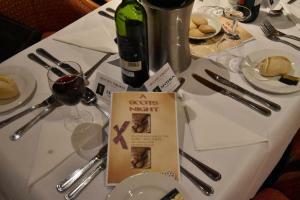 All profits for the evening to go Rotary's End Polio Now Campaign. 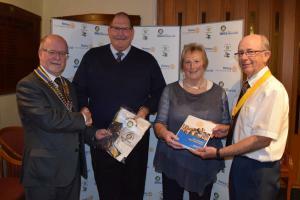 2017 - 2018 Paul Harris Fellow awards, recognition for service to Rotary. 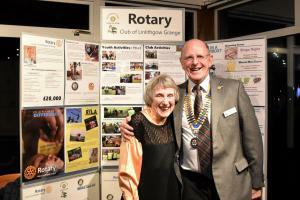 A first for Linlithgow Grange, new members husband and wife team David and Joan Hale joined the club on 5th June. 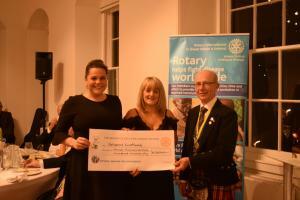 President Harry Millar presented a cheque to Epilepsy Scotland at the club's Charter Dinner at the Burgh Halls, Linlithgow. 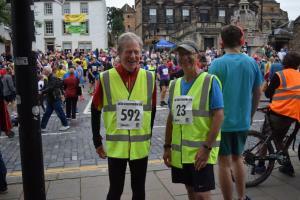 Congratulations President Harry Millar (23) and Vice President Chris Long (592) for completing the Linlithgow 10k and well done Harry for raising £940 in sponsorship for Epilepsy Scotland! 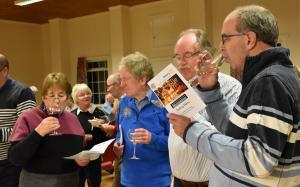 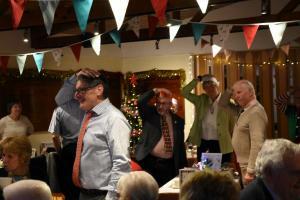 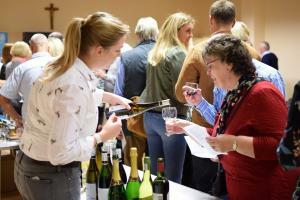 ​A very enjoyable and successful wine (and gin) tasting evening at Queen Margaret Hall, Linlithgow and £1,300 raised to fund two Rotary ShelterBoxes for disaster relief victims.